Where have all the leaders gone at Manchester United? Forget the midfield deficiencies. Leave the questions regarding full backs. 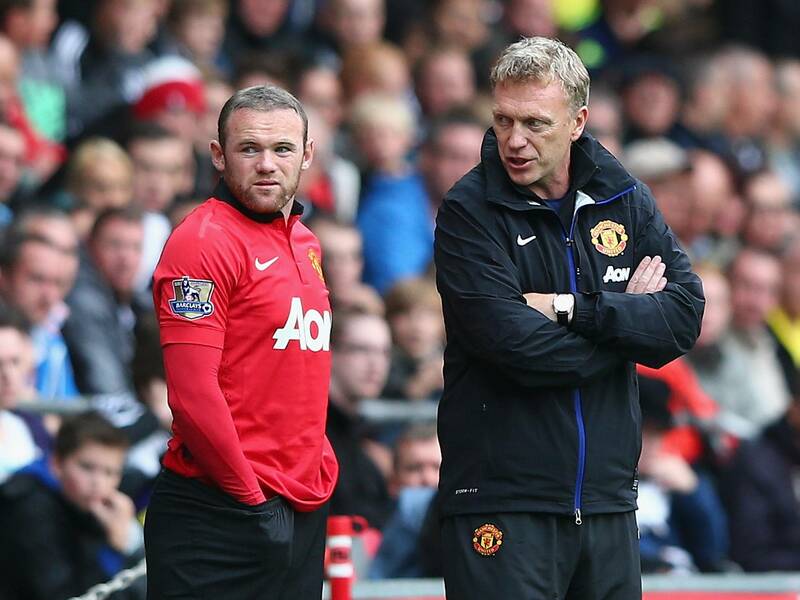 Ignore the limitations of a strike force shorn of Robin van Persie and Wayne Rooney. The biggest issue United have at present is leadership. There is a distinct lack of the stuff at Old Trafford. It sounds ridiculous to hold this up as a problem when you look at the experience of the players available to David Moyes. Nemanja Vidic, Rio Ferdinand, Ryan Giggs, and Patrice Evra have all got bucket loads of the stuff, and at different points in their careers in Manchester have show outstanding leadership skills. But Vidic looks unhappy and frustrated at the predicament in which his team currently find themselves, Ferdinand is rarely given a game, Giggs is no longer the influential figure he was, and Evra’s performances have been decidedly hit and miss for the first half of this season. Where before Sir Alex Ferguson was able to draft in seasoned heads to be the example, Moyes is now turning to players whose first reaction seems to be to look for assistance. Rather than leading from the front, the current crop are turning back in search of help. Phil Jones, Tom Cleverly, Chris Smalling, Jonny Evans and Michael Carrick are all fine footballers but none of them have been able to drag the team forward. Jones, Cleverly and Smalling (while already England internationals) are ultimately still learning on the job. Evans has been the centre half thrust in to further first team duties in the past two seasons but he has always been the junior partner to either Ferdinand or Vidic. Carrick’s influence on the tempo of a game is still excellent but his ability to show the way for the others is limited because of his deep-lying midfield berth and inward-looking personality. The purchase of Marouane Fellaini, while possibly still redeemable, is looking more and more like a poor piece of judgment. A big man physically, he is not a natural leader of men. He has wilted rather than grown under the pressure. On the wings, there are Ashley Young and Antonio Valencia – neither are men who lead by example. There has been an increased reliance this season on moving the ball wide quickly. While this has always been a strong point for United, this season it has looked foolish as teams dominate the centre of the park to such an extent that balls in from the wing look hopeful rather than expectant, because of a lack of support from deep central positions. For all the wonder it may bring, it is a sad state of affairs when Adnan Januzaj (an 18 year old) is the focal point through which all of United’s best football is played. He is a tricky, well-balanced, and enormously gifted player, but when the chips were down against Chelsea on Sunday, it was cringe-worthy to see him lead the line with Danny Welbeck operating in hole. And what about Shinji Kagawa? I find it difficult to be overly critical of Moyes because this is largely the squad that he was left with. While it was not exactly the scorched-earth policy Mourinho has adopted at other clubs, the way Ferguson and the board threw Moyes in to this situation looks more and more the reason for the club’s struggles this year. Where was the long term recruitment policy to fix some of the obvious weaknesses? Paul Scholes was never replaced before (hence his call back from retirement the first time), and has still not been adequately covered for now. Alexander Buttner must think himself incredibly lucky to have worn the United shirt so many times. Chicharito is no longer the feared poacher he was (despite his consolation goal at Stamford Bridge). And where are the future captains in this squad? You may say that this void of leadership should be filled by Moyes himself. Yes, to some extent, but he has shown in his previous roles with Preston and Everton that he is capable of showing his players to the water. Now some of them have to drink. There is only so much a manager can do in terms of revving his team’s engine. There were several cut-away shots to Moyes and his assistant, Phil Neville, that spoke so loudly on the weekend. Both hugely frustrated, and both chuntering away to one another at what they were watching. It was not a bad performance by any means, but it was undone by a ruthless display of finishing, aided primarily not through wonderful attacking guile, but instead through pure lack of concentration. This is where a leader needs to step forward. Evra (the current captain) was culpable for the first two goals, and yet there was no roaring from him or at him by others. United have shown throughout the last two decades that they are capable of resurrecting themselves from poor positions, but it was through leadership, bravery on the ball and sheer doggedness. These are not ways of describing the current lot. Where once there was a hair-dryer waiting for them in the changing room, now there appears to be a nothing more than a fan circulating the bad air. At no point to did it seem that those in red had had the proverbial rocket before the match or at half-time on Sunday as Chelsea coasted. The one United goal was well after Mourinho’s men had taken the foot of the pedal, and never looked like it would amount to anything more than a footnote. The red card picked up by Vidic was borne out of the clinical way the game was closed down. Compared to their standard operating procedure, this season has been a car-crash for the Old Trafford faithful, and the murmurs of discontent grow stronger by the week. The second-leg of the Carling Cup tonight is a chance to show everyone (not least themselves) that they have the relevant ability, gumption, and heart to end up with a chance of a trophy almost despite themselves and the gloating masses of non-United fans. Is there the fight in those charged with turning this season around? Sunderland may well find out if United have been able to absorb and use these realisations positively. God help David Moyes if not. This entry was posted in Analysis and opinion and tagged adnan januzaj, david moyes, manchester united, sir alex ferguson, wayne rooney by Chris Francis. Bookmark the permalink.